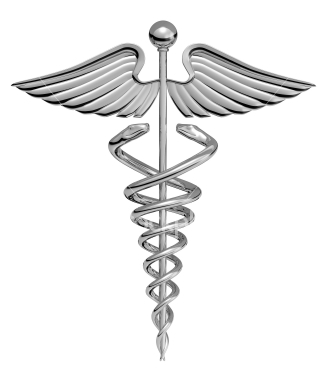 Whom Does the American Medical Association Really Work For? ANH-USA followed the money—and uncovered why doctors are abandoning the AMA by the thousands. Action Alert! We’ve previously reported that the world of medicine is run by medical codes—every hospital, doctor, and practitioner who accepts insurance or Medicare uses billing codes both for information gathering (they can be used to track the effectiveness of various treatments) and reimbursement. The World Health Organization’s International Classification of Diseases is a diagnostic coding system for billing and research purposes. The WHO’s new ICD-10 codes (which will be implemented by October 2014) have seventy-two ways to describe injuries sustained by birds. Imagine being required to use an online drop down menu to search through thousands of options to find just the right one. It’s a bureaucratic nightmare. No wonder some doctors report spending as much time on administration these days as they do seeing patients. The American Medical Association’s Current Procedural Terminology Codes (CPT),which healthcare professionals use to report medical procedures and services in patient records. Healthcare providers must use these codes—no other coding systems are permitted—in order to be reimbursed by Medicare and in practice must also use them for private insurance reimbursement. 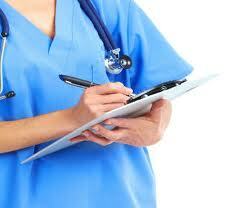 Physicians are required to report both the ICD and the CPT codes for billing purposes. They already use an earlier version of the ICD codes to send information to the WHO; the 2014 version has 55,000 new codes to learn, requiring extensive retraining of all medical and clerical staff who do any sort of recordkeeping. Who benefits from the CPT code system? Only two groups: insurance companies, and the American Medical Association. Health insurance companies use them to determine and validate insurability and premium decisions. And though the AMA is careful not to report its revenues specifically generated from CPT codes, its 2012 Annual Report details how the organization made $218.8 million in “publishing and business services”—which includes licensing and publications on CPT coding—but only a fraction of that amount ($38.6 million) from membership dues. By conservative estimates, the AMA receives twice as much income from the government as they do from its own dues-paying members. Essentially, the government—and not doctors—have become the AMA’s main customer. Doctors are taking notice of this, as illustrated by the AMA’s well-documented membership woes: today only 17% of doctors belong to the AMA (down from a peak of 75% in 1950s). Membership in AMA declined for decades, spiked in 2007 (this boost doesn’t appear to be organic; some argue it was achieved by giving away 8,577 free memberships, especially to medical students and beginning doctors), and declined again in 2008, 2009, and 2010. Reported AMA physician membership is now increasing slightly—1% in 2011 and 3% in 2012—but it certainly hasn’t recovered; 2011 membership numbers of 217,000 were a far cry from their 2007 total of 241,000. Why are doctors so dissatisfied with the AMA? As one leading physician and founder of SEMO (a social networking site for physicians) noted in a scathing open letter, the AMA has “long since lost its role as the voice of US physicians.” According to a 2011 survey conducted by Jackson & Coker, a physician staffing firm, 75% of doctors agreed that the AMA no longer represents them. The survey also revealed that 70% of doctors disagreed with the AMA’s position on Obamacare. With conventional doctors turning away from the AMA and its monopoly on medical coding, could they find common ground with integrative practitioners in embracing alternate coding systems? The AMA’s abandonment of the very constituency it claims to represent is just another example of how government agencies and private organizations designed to serve citizens are increasingly benefitting only each other—leaving patients, doctors, and consumers out in the cold. Of course integrative physicians are not just out in the cold; they are under continual attack by AMA dominated state medical boards. Not surprisingly, there are very few CPT codes for complementary or alternative medical treatments. This not only restricts insurance reimbursements, but also makes it harder to collect good data on the benefits of integrative medicine. So far we have focused on the new WHO codes and the crony capitalist ridden AMA codes. But there is an alternative: ABC Coding Solutions’ ABC Codes are designed to supplement—not replace—the CPT by offering codes for a full range of integrative treatments and therapies. After continual rebuffs by the department of Health and Human Services, which liked maintaining control over the AMA by protecting the CPT monopoly (and an error-ridden review by the Centers for Medicare and Medicaid Services that somehow disregarded a cost savings of over 50% by Alaska Medicaid! ), ABC decided to abandon working with the government. They now work directly with practitioners to use the ABC billing codes in filing electronic claims with private insurers. Action Alert! Ask the Secretary of Health and Human Services to accept the ABC coding system! Tell HHS Secretary Kathleen Sebelius that ABC has been employed successfully in over two million claims at a cost benefit of 50 percent. Explain that the system will increase consumer access to integrative treatments for non-acute care.